We have some exciting news to share: Our owners, Camille and Daniel Chijate, have been selected to receive Office Depot’s inaugural Workonomy Award, celebrating excellence in entrepreneurship! The honor will be presented next Tuesday at the Office Depot location in Los Gatos, where the company is launching its first-ever shared work space concept before rolling out the format nationwide. In selecting the Chijates for the award, Office Depot’s National Director of Community Investment, Alex Price, cited the couple’s successful transition as the chain’s new owners after purchasing Hobee’s from the founding Taber family last June. 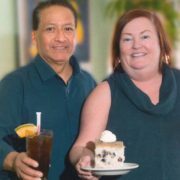 “Camille and Daniel were willing to take a risk, to learn new skills, and carry on the spirit of this family business with 125 employees,” Price said. 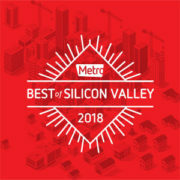 The Workonomy Award provides the Chijates with 6 months free work space at the Los Gatos Office Depot location, $1,000 worth of free business services and another $400 worth of free supplies. Many thanks to Dennis King, the Executive Director of the Hispanic Chamber of Commerce Silicon Valley and the Silicon Valley Small Business Development Center, and Carl Davis Jr., Executive Director of the Silicon Valley Black Chamber of Commerce for recommending Camille and Daniel for this prestigious distinction. 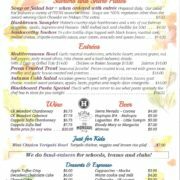 Our Fall Dinner Special menu features some sensational items like the Autumn Cobb Salad, Pecan-Crusted Trout and our hearty Mediterranean Bowl. Outstanding appetizer options include the Hashbrown Sampler plate and Noshworthy Nachos. Complement with a local beer or premium wine selection. Available Tuesday- Sunday evenings at Hobee’s Sunnyvale and Hobee’s Palo Alto. 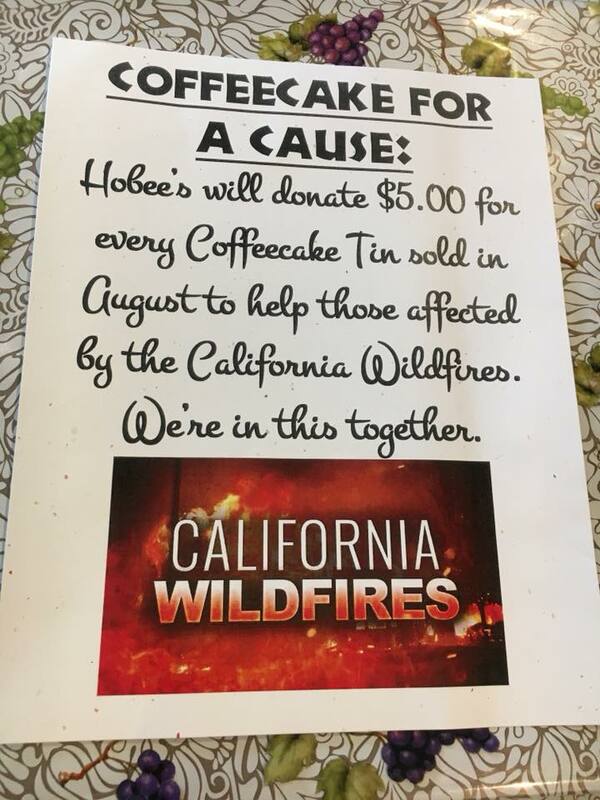 We at Hobee’s are saddened by the devastating impact of the still raging California wildfires.That’s why we’re contributing $ 5.00 from every coffeecake gift tin purchase during the month of August to fire relief efforts. Pick up a blueberry or banana-toffee gift tin for your family or office soon and help us help those in need. 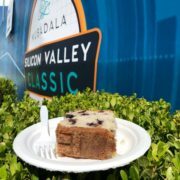 Though the big names fell quickly at this year’s Mubadala Silicon Valley Tennis Classic, held during the first week of August, there was a comforting constant throughout the event: a hearty Hobee’s breakfast for the players, tournament staff and volunteers. Ever since the WTA tournament moved from Oakland in the 1990s, Hobee’s has been a reliable sponsor. 2018 marked the first year that the tournament was held on the campus of San Jose State University. (The Stanford campus had been the event’s longtime home.) We like to imagine that both Venus and Serena Williams had a nibble of Hobee’s coffeecake, perhaps a consolation for losing in the first round and quarterfinals, respectively. Employees, alumni and VIPs from all six locations gathered at Sunnyvale’s Baylands Park on August 6th for a festive Employee Picnic. 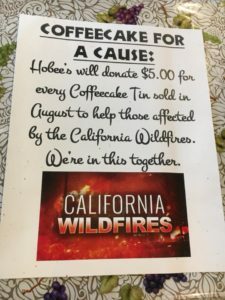 The event marked Hobee’s first year under the ownership of Camille and Daniel Chijate and featured a touching tribute to late co-owner Peter Taber, who passed away earlier this year. 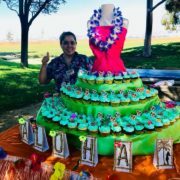 Guests also enjoyed a sumptuous barbecue, courtesy of Catering Director Kerrie Porter and her husband Aubrey; a raffle; kids’ games; a Hobee’s trivia contest; and a Hawaiian-themed cupcake tower (pictured) designed by Sunnyvale manager Jan Enciso. 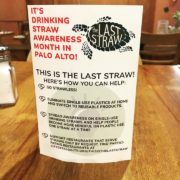 Did you know 500 million straws are used each day in the United States alone? Plastic straws are among the top 10 marine debris items found on our beaches. Plastic never disappears, instead it breaks down into tinier pieces that marine life can mistake for food. Seventy percent of all seabirds and 30% of all sea turtles have plastics in their digestive systems. Once an animal eats plastic, their life expectancy lowers by 50%. By the year 2050, there will be more plastic than fish in the ocean. With that in mind, Hobee’s has teamed up with dozens of other restaurants to partner with Girl Scout Troop 60016’s “Last Straw” initiative. We will now be offering straws upon request. Thanks for helping us to reduce straw pollution and waste! 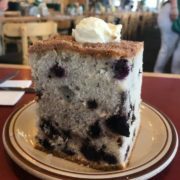 Holy blueberry coffeecake! Hobee’s once again took top honors (for the 23rd time!) 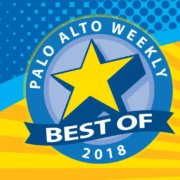 in the annual Palo Alto Online & Palo Alto Weekly Readers’ Poll. Check out the current super hero-themed edition and read about what makes Hobee’s the Best Breakfast in Palo Alto. Thanks to all those who cast a vote for us! We kicked off spring by winning two Best Breakfast accolades: The readers of both the Metro and Palo Alto Daily News chose Hobee’s as their favorite restaurant to enjoy the most important meal of the day. Thanks for your votes! Infuse your order with a vibrant dash of flavor: Introducing Hobee’s new Fruit & Veggie Fusion Juices! These blends are made with fruits and vegetables picked at the peak of ripeness. We offer three fantastic flavors: Apples & Green, Citrus Carrot and Berry Beet. 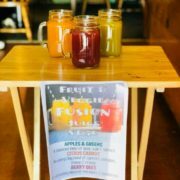 Fusion Juices contain no added artificial flavors, no added sugars, and no high fructose corn syrup making, them the ideal choice for health-conscious customers. We’ll raise a glass to that! How do you prepare to meet the press to discuss your record-breaking deal with the San Francisco 49ers? 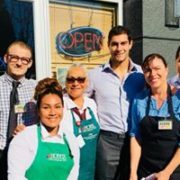 If you’re Jimmy Garoppolo, you have breakfast at Hobee’s Montague! The standout quarterback, who thrilled fans with a late season surge, enjoyed a hearty Hobee’s breakfast in early February. Garoppolo graciously posed for a photo with the Hobee’s crew before heading off for his life-changing media conference. Thank, Jimmy, for sharing your big day with Hobee’s!